This easy cauliflower celeriac soup recipe is impossibly creamy. 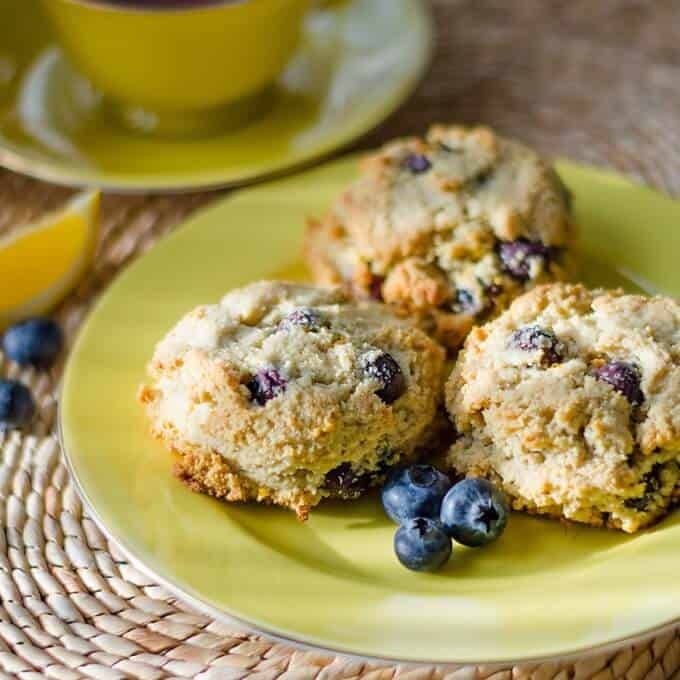 You won't believe it's paleo, gluten-free, low carb, keto and Whole30 friendly. I was looking to recreate an old cauliflower soup recipe that used cream sauce made with flour. I think this paleo cauliflower soup version is even better, and creamier, without any added flour or thickeners. The secret to this paleo cauliflower soup is celeriac. It gives the soup a lovely creamy body and mild celery flavor that blends well with the cauliflower and garlic. If you're not familiar with celeriac, it is celery root. It's ugly on the outside, but smooth and white on the inside. You have to peel off quite a bit to get to the flesh. But once it's peeled, just chop it like you would a potato. Adding just a small amount of celeriac to the cauliflower soup transforms the texture and makes it really decadent. It only takes a few minutes to make this soup. 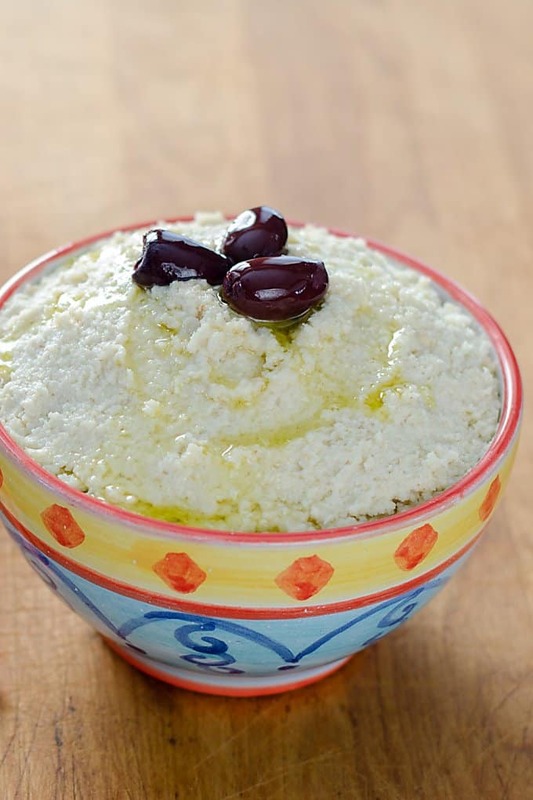 I used cauliflower I had in the freezer — since it ends up pureed, frozen cauliflower works well in this recipe. The only other pantry ingredients were chicken stock, garlic and a little bit of ghee. The vegetables are simmered in the chicken stock, then everything goes into the blender until it's silky smooth. A little ghee blended in at the end finishes the soup and lends a hint of buttery flavor. 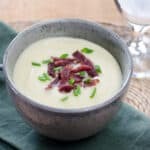 I garnished the cauliflower celeriac soup with duck bacon (yes, there is such a thing and it is as good as it sounds!) and chives. The chives aren't really necessary, but I definitely recommend the bacon. Either duck bacon or pork bacon would work—you can even use coconut bacon for a vegan version. 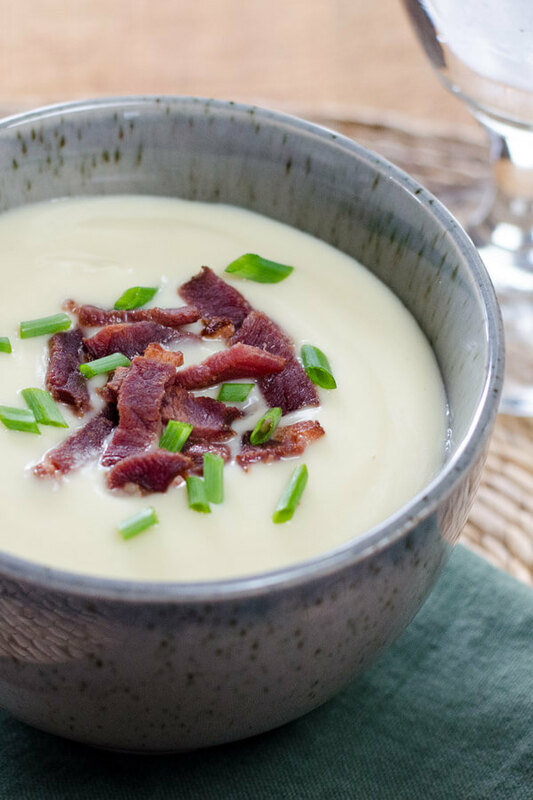 The salty crunch of the bacon is a great counterpoint to the creamy smoothness of the cauliflower celeriac soup. A decadent creamy soup made with cauliflower and celery root. Bring cauliflower, celeriac, garlic and chicken stock to a boil over medium-high heat. Cover, reduce heat and simmer until vegetables are tender, 15-20 minutes. Carefully transfer to Vitamix and puree until smooth. Add ghee, salt & pepper and blend to combine. Top with bacon and chives. Where do you get celiarac? When is it in season? Thanks for sharing! I get celeriac at my local grocery store. It’s usually next to the other root vegetables and labeled either celeriac or celery root. 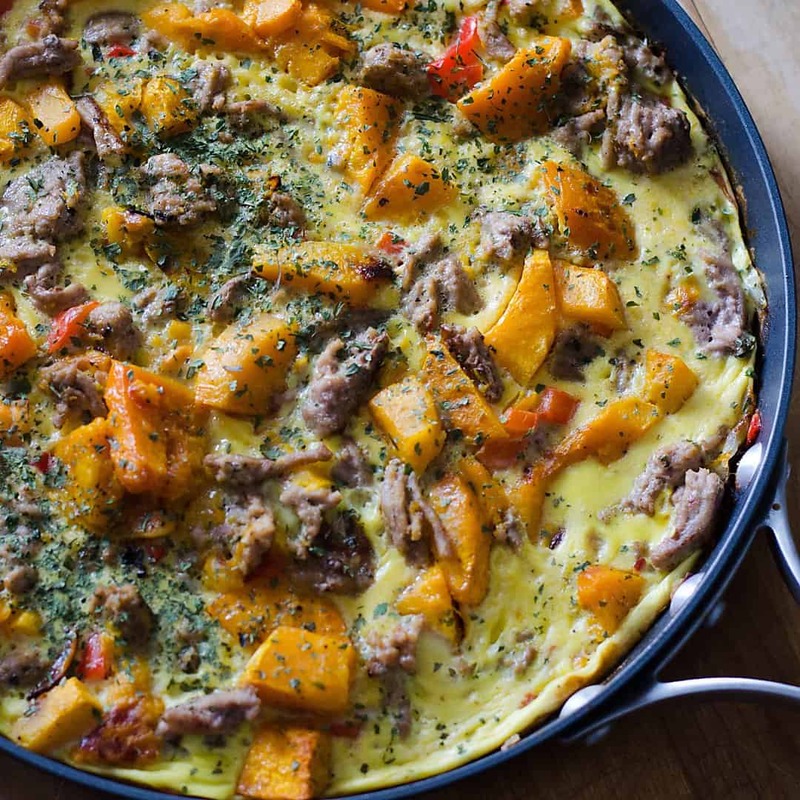 It’s in season in fall and winter – definitely worth trying! I love celery root. 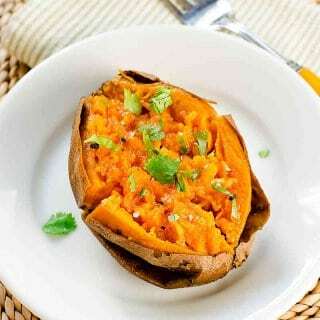 This, and all of your other recipes, sound delish! Thank you! I love celery root too, especially in this recipe. It makes the soup so creamy! can I just use a cup of chopped celery and then just blend everything together? The celeriac stands in for the traditional potato in this recipe, adding creaminess and a mild celery flavor. Celery would not give you the same creaminess. If you can’t find celeriac, I would use a little bit of celery for flavor, but substitute additional cauliflower for most of the celeriac. This cauliflower soup was absolutely fantastic! I will make it again and again! Thank you Pam – you made my day! This soup was so delicious! I did add just a little bacon grease instead of salt….because I really like bacon! Thanks for your comment, Kat! 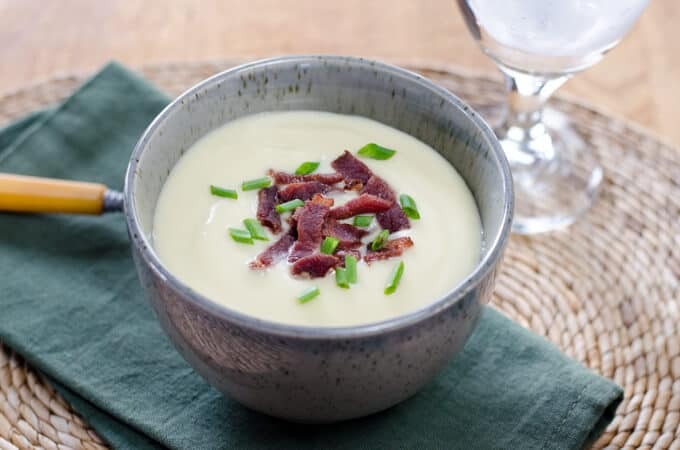 The bacon grease sounds awesome – I will have to add some next time I make this soup! So if I pick up a head of cauliflower, will that be enough? Sounds good and I feel like soup tonight for dinner! One head of cauliflower should do it! You want about a pound of florets, so get a head that’s just over a pound and you should have enough once you cut it up. Hi this looks great! Would it work to sub vegetable stock for the chicken stock do you think? Hi Erin, I haven’t tried it, but I think it would work. If you try it, let me know how it turns out! Thanks! This will make winter a little more bearable. Hi Patricia, I freeze all of my leftover soups in single serving containers so I can just thaw and reheat when needed. I like cauliflower and celeriac. 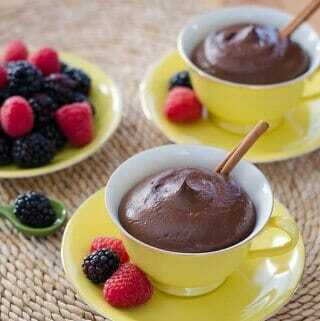 This is Yummy and creamy. So, Soup! Wow, what amazing soup, I used 4 cups of distilled water, all organic cauliflower, celeriac, garlic, and chicken shock cube, next time will make it completely vegan……. Thank you so much for Sharing…. That recipe was superb.